Welcome to another look back to some TV highlights from the last week or so. When In the Flesh first started last year I wasn't quite sure what to expect. Having never been a particularly big fan of the horror genre I sat down to watch Dominic Mitchell's three-parter with some trepidation. What I found was a brilliantly written piece which used the backdrop of a zombie plot to tell a story of smalltown racism and homophobia. The programme recently returned for a full six part series, picking up about nine months after the events of series one. The Yorkshire town of Roarton has become at least a little bit more accepting of the PDS sufferers in their community since we last visited. However, beneath the tolerance that exists, there are still those who remember the rising and hate having to live side by side with people they consider to be rabids. Mitchell employs quite a lot of political satire in his introduction of Victus, an incredibly right-wing party who don't believe that PDS sufferers should have the same rights as the rest of us. Victus is represented in Roarton by Maxine Martin (Wunmi Musaku) a jargon-spouting local politician, who is later revealed to be quite handy with an electric drill. The policies of Victus are counterbalanced by the Undead Liberation Army who have been involved in several terrorist attacks in highly populated areas. One such attack is witnessed at the beginning of episode one as Ken Burton (Ricky Tomlinson) is savaged by a group of PDS sufferers who transform back into the undead. Caught up in the middle is PDS-sufferer Kieren (Luke Newberry) who hopes to leave the outdated views of Roarton behind him and travel to Paris. However he learns this will later be impossible as one of Victus' new policies force him to stay in his town and participate in a giveback scheme. His frustrations turn him towards the UDL thanks in part to his friend Amy (Emily Bevan) and her new beau Simon (Emmett J Scanlan). While the first series of In the Flesh was an enclosed story of unresolved feelings and local hatred, this second run seems to enhance the scope of the entire idea. In creating the Victus Party, Mitchell has really been able to satirise people's attitude to immigration and naturalisation. Meanwhile, episode two's introduction of the PDS Giveback Scheme was a brilliant take on the big society. The two instalments of In the Flesh that have aired thus far have been well-paced and brilliantly punctuated by some great set pieces. The aforementioned attack on the tram was expertly choreographed as was a similar scenario in the high school during episode two. Mitchell's script has set up so many intriguing questions such as, why is Maxine so interested in Kieren and what exactly is wrong with Amy? As with last series, there are some moments of observational humour thrown in for good measure with my favourite so far being the B&B owner being forced to put up with an undead mother-in-law. But at the heart of In the Flesh are two well-rounded and sympathetic lead characters in siblings Kieren and Jem Walker. 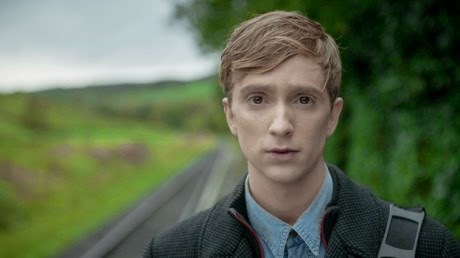 Luke Newberry is great at Kieren, especially in the series' quieter scenes in which he conveys Kieren's heartbreak concerning his current predicament. But it appears as if Series Two will be as much about Jem attempting to reintegrate into society as it is about Kieren's problems. Harriet Cairns is excellent as the conflicted Jem, who is struggling to put her time in the Human Volunteer Force behind her as she returns to school. Her performance in episode two in particular was stunning and it unfortunately seems as if Jem is returning to her old ways. Although it's full of zombie attacks and swipes at political reforms, In the Flesh is essentially a programme about youngsters attempting to find a way to deal with their extraordinary circumstances. From what I've seen so far this series of In the Flesh is already superior to its predecessor and that's primarily due to the fact that BBC3 took a chance with the series in the first place. I'm just hoping that if the channel does make the predicted move online, innovative dramas such as In the Flesh continue to be commissioned and don't simply fall by the wayside. Last week saw the return of the sixth, and possibly last, series of 24 Hours in A&E. I was a massive fan of the fixed-camera documentary when it first aired back in 2011. But over the past year I feel that it's been over-exposed and that Channel 4 have relied far too much on the series to fill it schedules. As a result the stories that the documentary tells have been far less engaging than they were when the series began. In addition, each episode now seems to follow the same format in that we see three different cases with each being delegated less time than the other. I found this to be a problem when the main story of the episode was quite dull when compared to the secondary tale. I personally really didn't find the story of 19-year-old Chris, who was injured in a rugby match, that engaging especially when it became more about his mother and girlfriend. I was much more interested in the plight of four-year-old Alfie who'd suffered a suspected broken thigh bone after falling from his bike. Alfie was such an intriguing young man especially due to the fact that he suffered from a learning difficulty that made it hard for him to speak. Similarly fascinating was Alfie's mum's story as she told us she was overly-protective of her son after her sister was murdered by their school caretaker. The other stories in the episode felt that they just existed to fill time and that they could easily have been replaced by more of the fascinating scene in which we see the A&E staff interact. In fact I believe that we need to hear more from the staff at King's as they are the real stars of the show and I personally have total admiration for everything they do. However, 24 Hours in A&E is not half as compelling as it was once and I think that Channel 4 should only give six or eight episodes of the programme every year. I believe that this will allow for them to tell more intriguing tales and also shine a light on the good work the staff does every day of the year. Another factual programme that started last week was Billy Connolly's Big Send-Off, which saw the Scottish comedian explore the sometimes taboo subject of death. The documentary is in incredibly timely as Billy recently received news that he had both cancer and early onset Parkinson's. 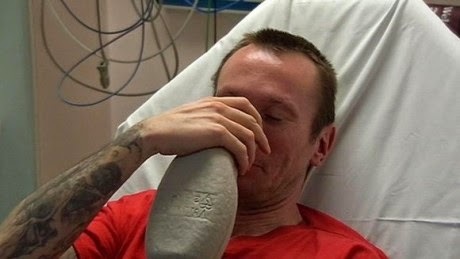 However he claims that he conceived the idea for the programme before getting this diagnosis and in fact he was inspired to look at the subject after getting emotional at the funeral of a friend's father. Part of the documentary felt like a Louis Theroux programme as Billy Connolly focused on how death is big business in the States. He visited a drive-through funeral chapel and looked in to the odd world of dead real estate. However I found the more personal asides to be the documentary's saving grace and I particularly enjoyed Billy's conversations with his mate Eric Idle. The pair discussed how they'd like to be remembered with Idle admitting that somebody would predictably play 'Always Look on the Bright Side of Live.' Obviously that song was played before the episode had ended and I found Billy and Eric's duet to be rather charming. The main problem I had with the first episode of Big Send-Off was that it was a little scattershot. For example Billy spent very little time exploring the theme of voodoo and as a result his trip to New Orleans appeared to be rather pointless. However Connolly is an endearing and relatable presence who obviously is exploring a subject that has become closer to his heart in recent years. Billy's conversation with Eric Idle was possibly the most personal the episode got and I felt that the documentary needed more of these interludes in order to make it more compelling. However I can't say I wasn't both informed and entertained during the course of the programme whilst Connolly's comedy background helped him to make a mockery out of some of the more unique products being sold at the funeral directors trade show. Thankfully Connolly's presence on the documentary helped to restore the image of Scottish comedy which had been besmirched the night before thanks to the latest Comedy Playhouse instalment Miller's Mountain. Unlike last week's Over to Bill, at least Miller's Mountain contained a stereotypical sitcom protagonist in Scottish mountain rescue leader Jimmy Miller (Jimmy Chisholm). Miller's constant boasting about his previous achievements and his sense of superiority put me in mind of such comedy buffoons as Captain Mainwaring and Arkwright. But that's where the comparisons to the likes of Dad's Army ends as Miller's Mountain was missing the vital ingredient in a sitcom, namely funny jokes. From the time that Jimmy asked barmaid Jules (Sharon Rooney) for the usual and she punched him in the face I knew we were in trouble. But it turned out that this was one of the brighter spots for an episode that I was less and less interested in as it went on. The final gag, involving Jimmy in his underwear, was just atrocious and on the whole I found Donald McLeary's script incredible unfunny. The one exception was the wonderful Sharon Rooney, who can do no wrong in my eyes, as at least she was trying to make her scenes as successful as possible. Just like with Over to Bill, I'd be very surprised if Miller's Mountain were to return as it didn't really go down well with either audiences or critics. 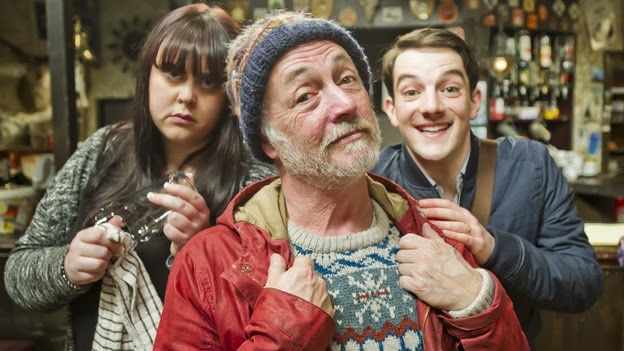 However, if by some miracle Miller's Mountain did run to a full series I would hope that Sharon Rooney would have enough good sense no to reprise her role in this incredibly crude and old-fashioned sitcom. That's all from me for now and if you want to learn more about my views on the latest television follow me on Twitter @mattstvbites.